Though I'm currently living in Colorado, my true home is the South. I lived in South Carolina, Georgia and Florida, which instilled a love of southern beach towns like Myrtle Beach, Orlando and Charleston. 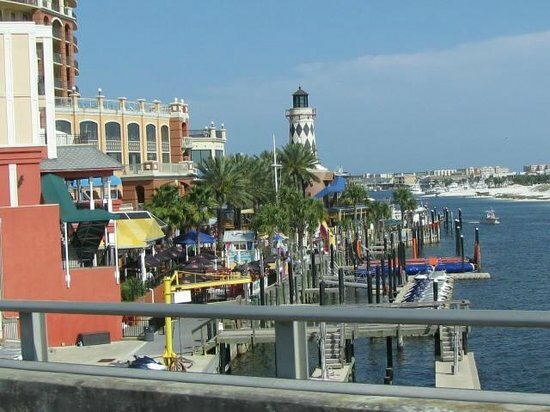 I live near Panama City Beach for part of the year and have spent many memorable nights in locations like Key West and New Orleans. Diver, hiker, climber, craft beer aficionado, snowboarder, fisherman...I'm up for anything at least once. 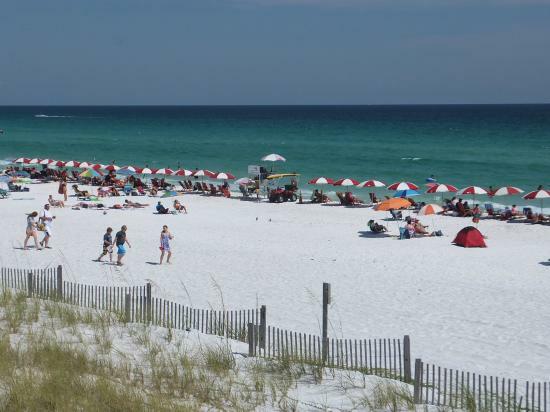 Destin is one of the most popular beach destinations on the Gulf Coast. Once a sleepy little fishing village, it now has every activity and amenity you'd want on a vacation. From the incredible beaches (the pristine white sand and emerald water is worth the visit alone) to the world-class restaurants, shopping and outdoor activities, there's enough to have you falling into bed each night, exhausted, ready to start again the next day. 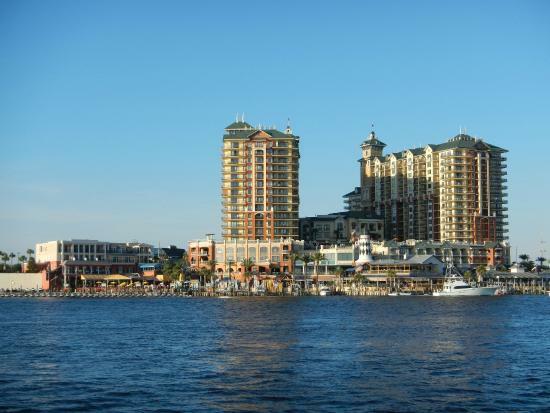 Destin is part of the Emerald Coast, which also contains the towns of Fort Walton and Okaloosa Island. 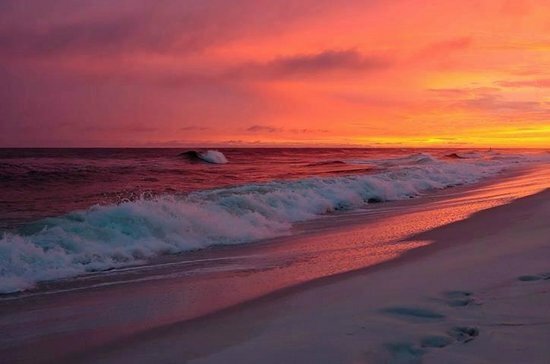 Explore these areas as well, and be sure to take a drive down 30A to see enclaves like Rosemary Beach, WaterColor, and Alys Beach. The Mid-Bay Bridge Connector allows travelers to bypass Niceville to Destin and avoid 14 traffic signals. It's very convenient, but be aware that there is a toll-by-plate system that will send you a bill in the mail. 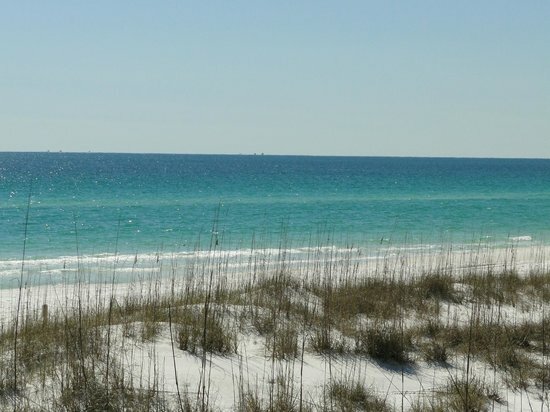 Turn a walk on the beach into a treasure hunt: Destin is among the top five destinations in the world for shelling because the 100-Fathom Curve draws nearer to Destin than to any other spot on the Gulf Coast. 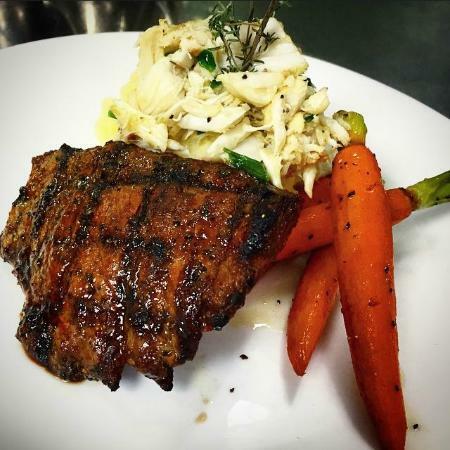 Locally-owned Capriccio Cafe is a little-known gem in Destin. 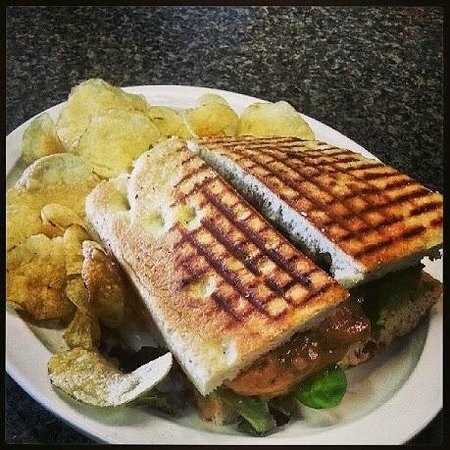 Serving phenomenal coffee, savory and sweet crepes, and several excellent lunch items along with a genuine, welcoming vibe from the staff and owner, you'll find yourself returning again and again. The Roman crepe and the runner salad are two favorites but you can't go wrong with whatever you order. 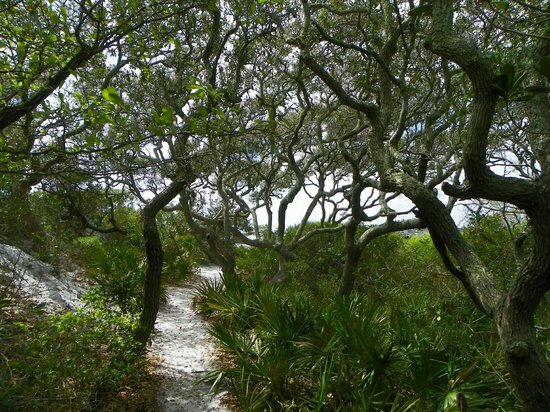 A gorgeous respite from the more crowded beaches of Destin, Henderson Beach State Park has 6000 feet of coastline and 208 acres of wooded area to explore on its nature trails. Features include areas where you can 'grill out' and pavilions for picnics, with nice restrooms and even a shower to rinse off after a dip in the Gulf. 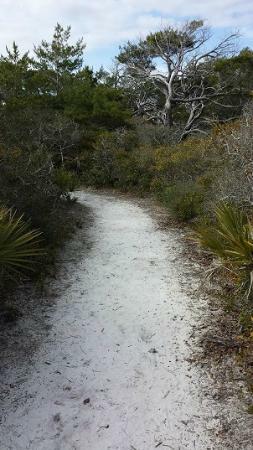 Because it is a state park, there is a small fee to access Henderson Beach. 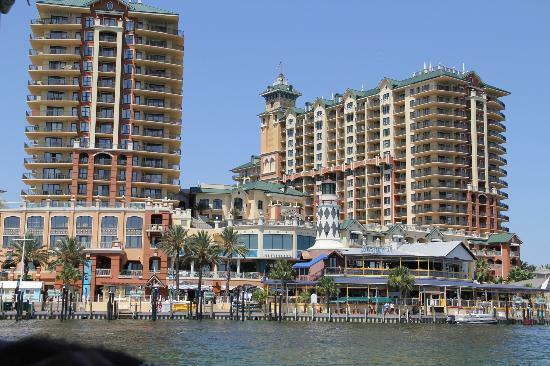 Destin Harbor sees a ton of activity every day, from fishing boats returning with their catch, to dolphin sightseeing tours, to a wide variety of water sports like parasailing, kayaking, standup paddleboarding, and more. The harbor is also home to a variety of vessels available for deep-sea, inshore, and bottom fishing. Fishing is one of the favorite activities in Destin — visit the harbor to chat with the captains and charter your own trip. 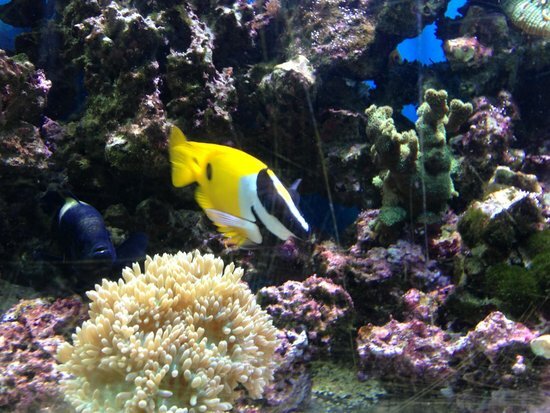 Because the water is so deep, there is a wide array of marine life. Dive down and explore artificial reefs, wrecks, and a limestone shelf at depths of up to 90 feet. 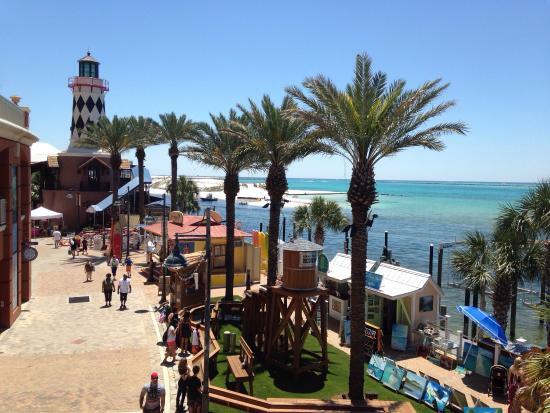 Make no mistake — the Destin Boardwalk and the HarborWalk Village are designed for tourists. However, if you can handle a bit of neon, and like to feed off the energy of crowds, then the boardwalk is a great place to visit. With plenty of shops to explore, restaurants to try, and bars at which to sip a cold beverage and watch the sunset; it's a great place to entertain the entire group. 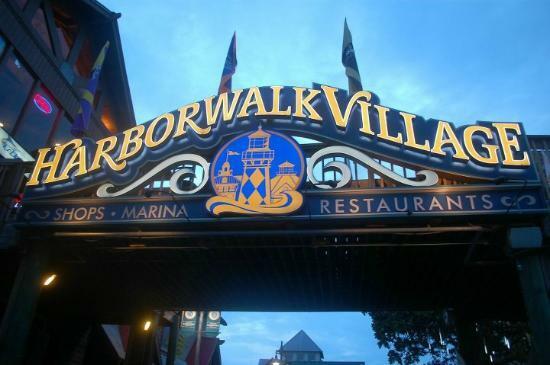 The Boardwalk hosts weekly firework shows on Thursdays during the summer. 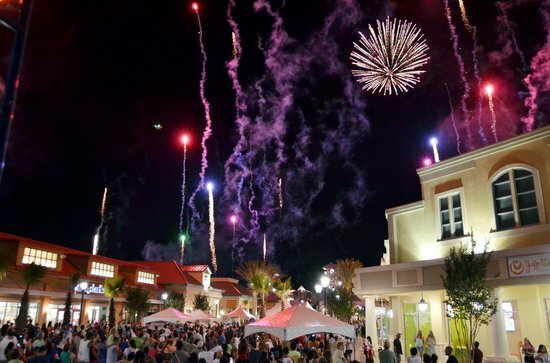 The celebration starts at 6pm with fireworks starting at 9pm. 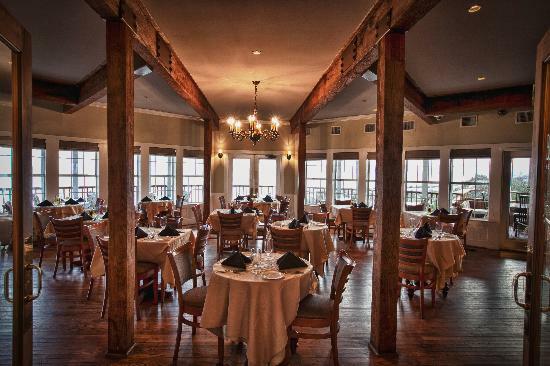 To celebrate your first day of vacation, make reservations for Beach Walk at Henderson Park Inn. 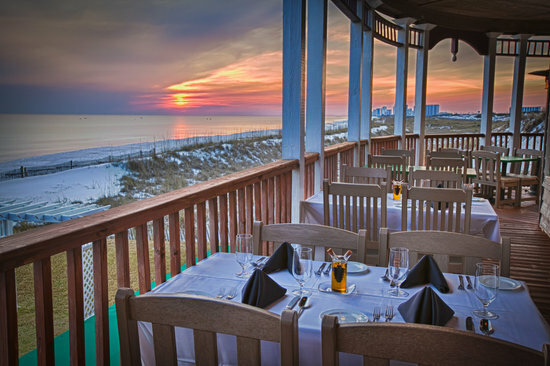 Beach Walk is consistently lauded for its cuisine and its incredible views of the beautiful Emerald Coast. Featuring American cuisine with European and Asian influences, the menu features freshly-caught seafood as well as 'land' dishes such as venison and steak. There are three areas for guests to sit: inside, on the deck, or on the beach. 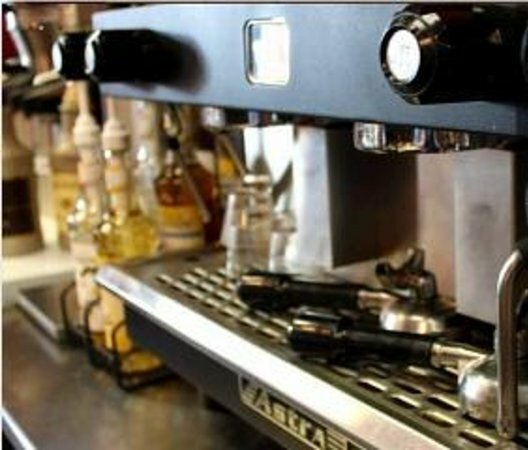 Call ahead to reserve your preferred spot. 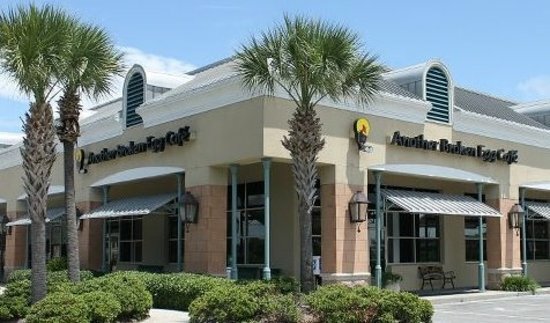 Get ready for a day of exploring with a hearty breakfast at Another Broken Egg Cafe, a long-time Destin favorite. Featuring omelets stuffed with almost anything (Crawfish? Avocado? 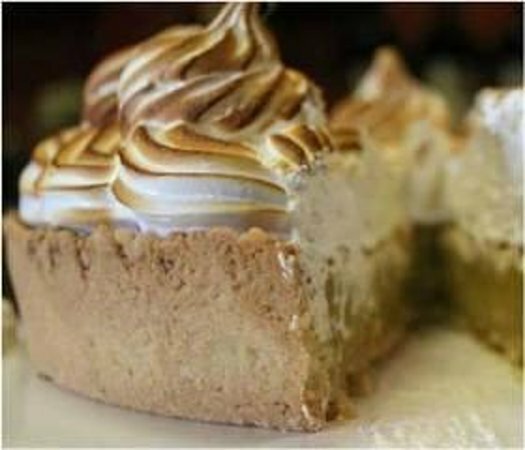 ), huevos rancheros, giant pancakes, and more, the menu is diverse enough to tempt everyone in the family. Craving omelets for dinner? 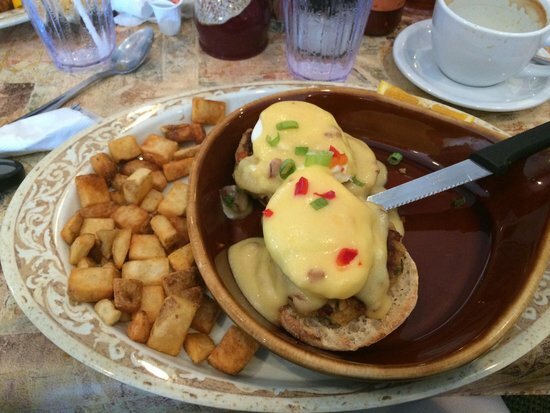 Not a problem — they serve breakfast all day. The Bananas Foster French Toast is a truly decadent treat. 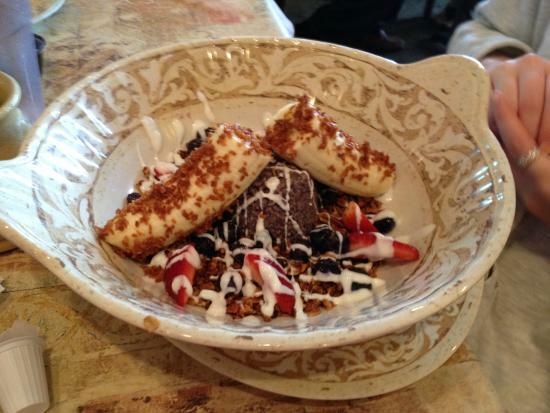 If you have a sweet tooth, feel free to indulge! 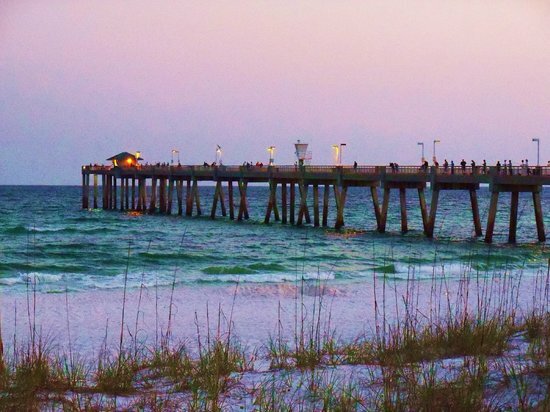 A barrier island between Destin and Fort Walton, Okaloosa Island is surrounded by Santa Rosa Sound, Choctawhatchee Bay, and the Gulf of Mexico. 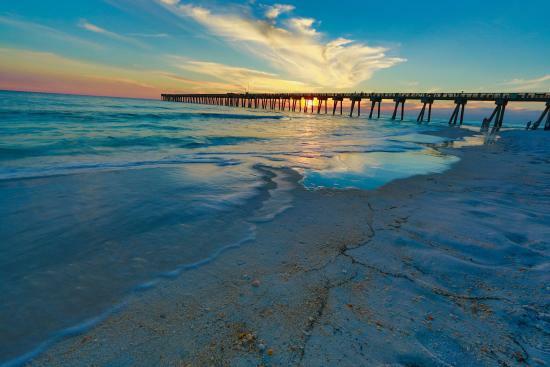 Okaloosa Island is known for its pristine beaches, but also for its wide variety of water sports and entertainment. 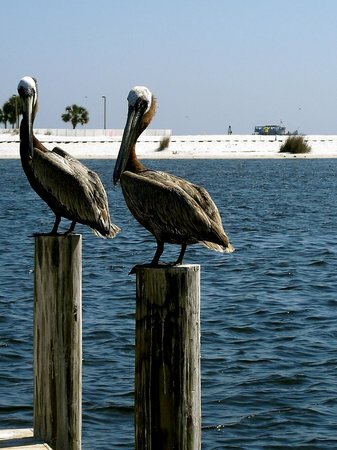 Walk out on the 1261 foot pier and chat with the fishermen or take a rod and reel and try your luck. 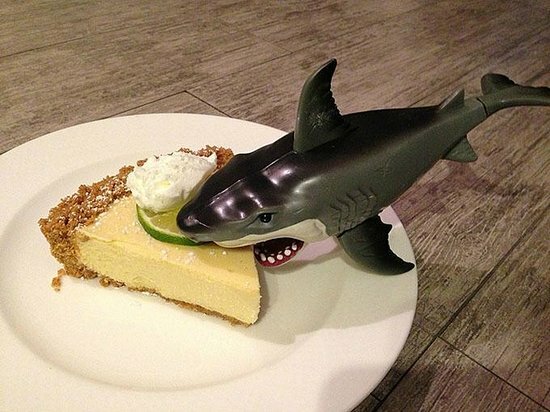 You never know what you might catch! 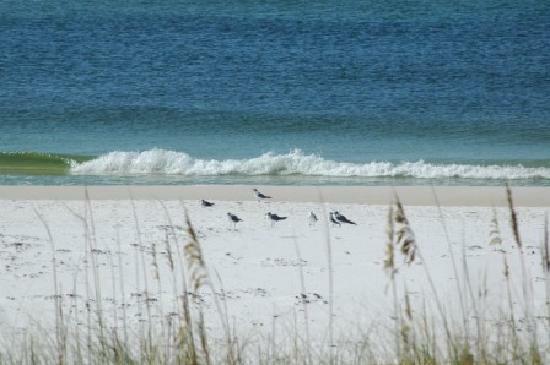 For those who like their beaches with a bit of adventure, Okaloosa Island is a great place to go parasailing, kayaking, canoeing, or snorkeling. 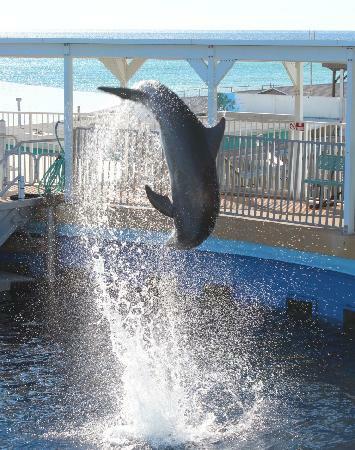 While it's not as large as SeaWorld, Gulfarium Marine Adventure Park is a local institution in Fort Walton. Featuring a sea lion show and a dolphin show, plus lots of other animals like penguins, otters, stingrays, and alligators, Gulfarium wants to educate its guests as well as entertain them. It's a great way to learn and play. 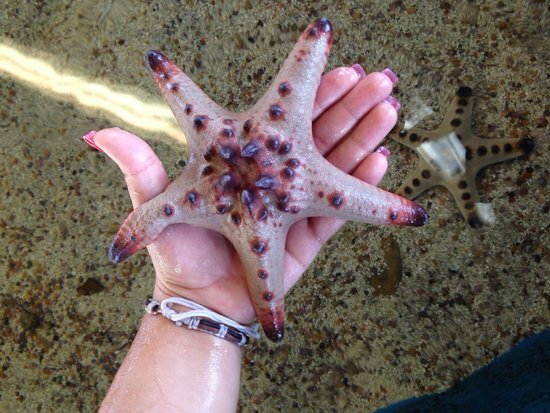 If you want to have an up-close "encounter" with animals like the Stingray Bay Snorkel, be sure to make a reservation ahead of time. 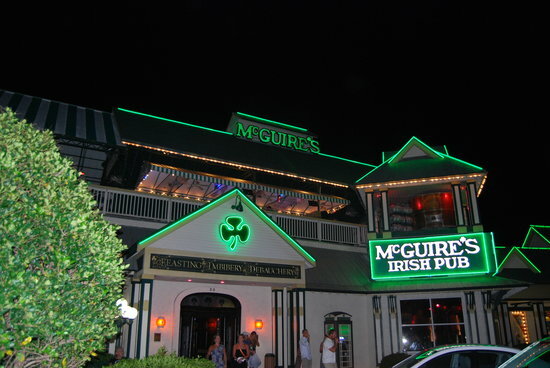 Put aside the large quantities of neon and plethora of overt Irish decor when you first see McGuire's Irish Pub — just head on in. 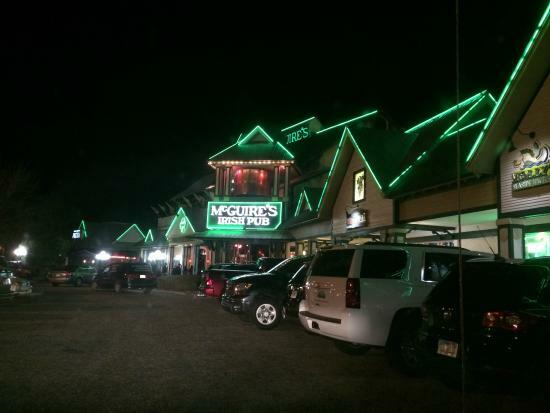 No trip to Destin is complete without visiting McGuire's, with its ceiling festooned with dollar bills and turn-of-the-century New York atmosphere. Go hungry and order classic Irish fare like fish and chips or shepherd's pie, and wash it all down with a house-brewed beer. For those who are not quite of age (or do not imbibe), McGuire's also brews its own root beer. Destin is known as 'the world's luckiest fishing village' and there's no better way to see that for yourself than at one of the marinas. 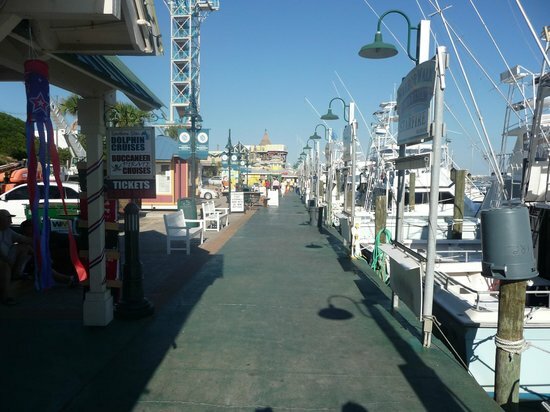 During the season, there are several fishing competitions that bring their entries to the HarborWalk Marina. Hang out to watch the competitors bring in their catch and hear the 'fish tales' for yourself! For a unique sail into history, consider taking a turn on the Buccaneer. Featuring sword fights, water gun battles, story-telling, singing, dancing, and treasure hunts, this is an adventure on the high seas for the whole family. 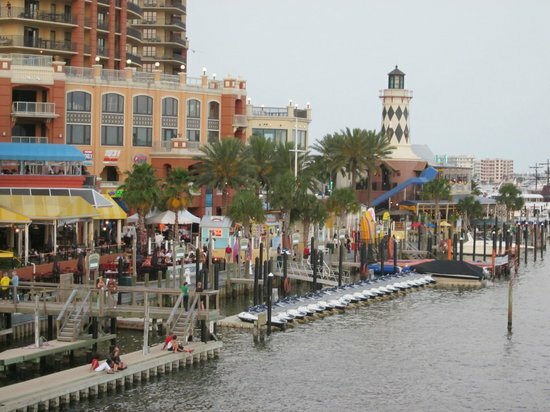 Almost any activity can be booked from the HarborWalk Marina, including paddle board and kayak rentals, pontoon and jet ski rentals, parasailing, glass bottom boat tours, and dolphin excursions. 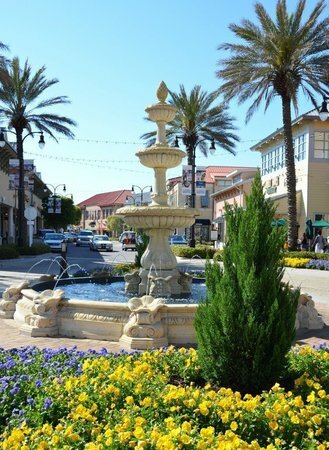 This large pedestrian shopping center surrounds an attractive European-style courtyard and fountain. There are more than 80 shops in the Commons with many of your favorite name brands, including Victoria's Secret, Abercrombie & Fitch, and White House/Black Market. Plus, the open air layout means that you can satisfy your retail urges while still enjoying the Florida sunshine. 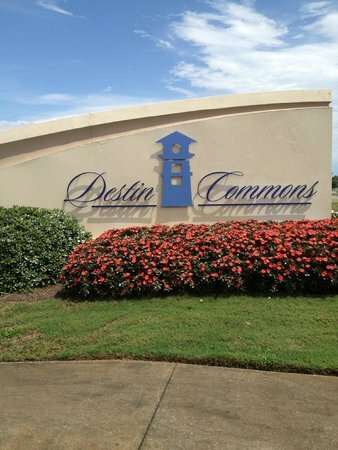 Destin Commons is often home to special events and festivals — check the calendar and see what's happening during your visit. 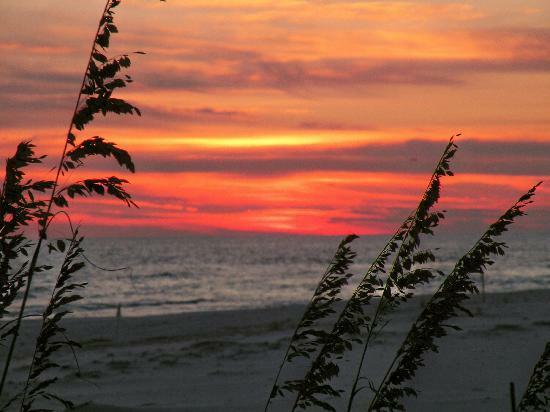 Grayton Beach State Park is located between Destin and Panama City and is worth the short drive to visit. 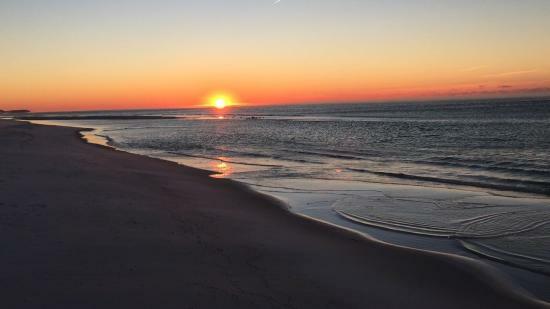 The nearly 2,000-acre park features unique natural environments like Western Lake (which has brackish water, a mix of freshwater and saltwater), a salt marsh ecosystem, and large sand dunes. Hiking, biking, canoeing and kayaking are all excellent ways to explore the park or simply enjoy the pristine beaches for the day. There are options for tent camping and RV camping as well as cabins that you can rent, if you're looking for a memorable stay at the beach. It's a bit hard to describe the Red Bar — you just have to see it for yourself. Famous for its funky decor, a laid-back attitude, and possibly the best crab cakes ever made, which are only served on Fridays and Saturdays (and tend to sell out quickly), the Red Bar is boisterous and over the top, but that's exactly its appeal. 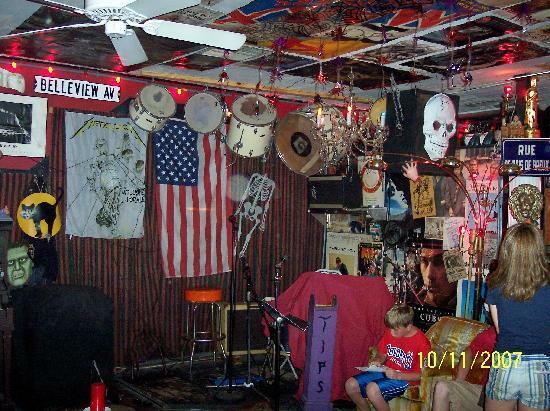 Just sit back, peruse the many, many decorations, and enjoy the experience. 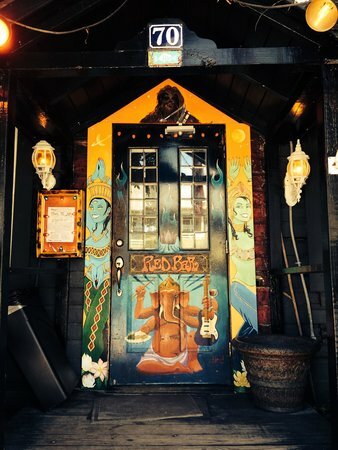 The Red Bar often has live music, so be prepared to want to stay late into the night. 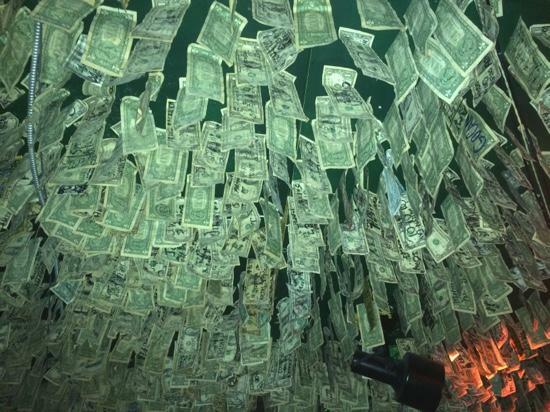 It's cash only at the Red Bar, so make sure to stop by an ATM before you visit.